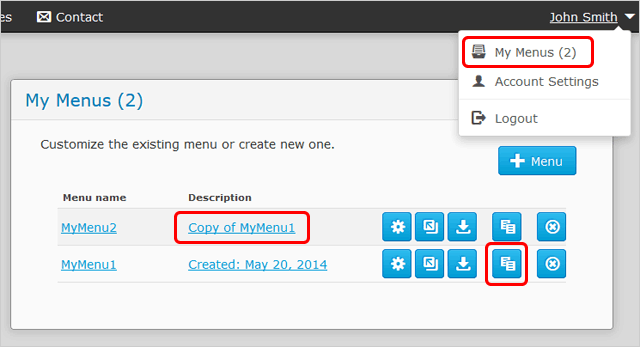 The Duplicate Menu feature allows you to create the clone of an existing menu. It generates the copy, including the structure, template, and all of the menu settings. To manage your menus, proceed to the "My Menus" page.